Thousands of dollars worth of medical supplies are being sent to seniors. They are supplies seniors say they don't want or need, but taxpayers are footing the bill. It all starts with a phone call -- a phone call about chronic pain and that you may qualify for medical braces covered by Medicare. 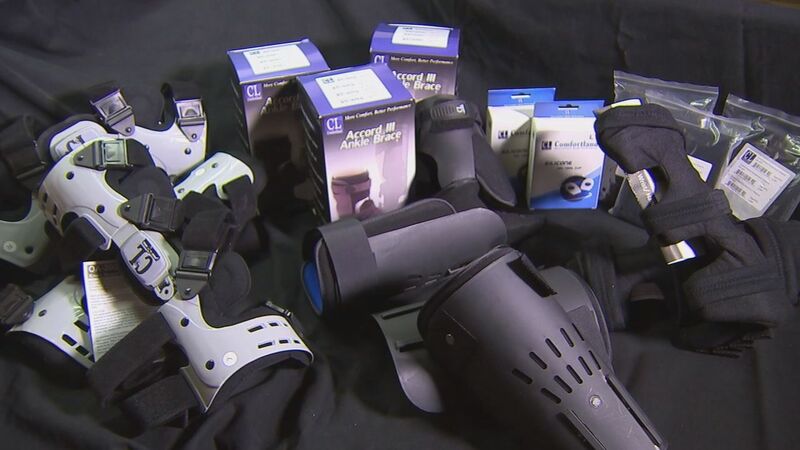 The end result is you could end up with a boxful of medical supplies, filled with knee, wrist and ankle braces. Those were all sent to just one senior citizen. 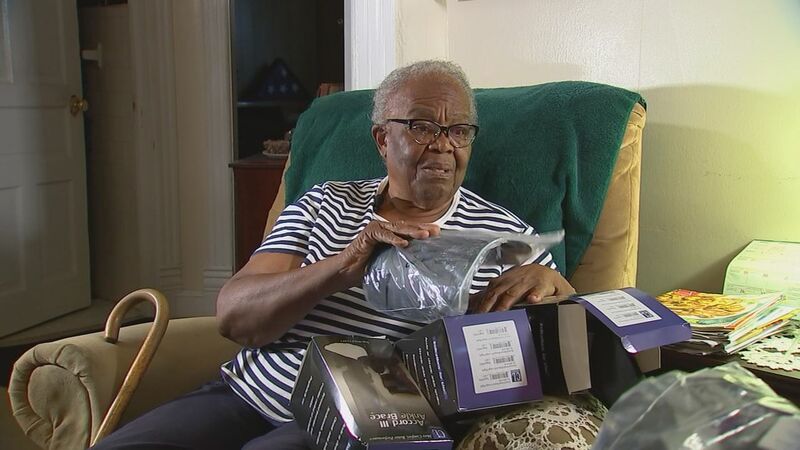 Berta Pinckney couldn't believe it after three different boxes of medical braces showed up at her house. "I looked at it, and I said, 'what in the devil I didn't order no braces. The doctor didn't order no braces for me,'" she said. In a matter of seven days, she got three ankle braces, three knee braces, two wrist, and hand braces, a heel stabilizer, and suspension sleeve. "I only have two ankles, what am I going to do with three?" she asked. At 88 years old, Berta admits it takes her longer to get around but says she doesn't need all of these knee, ankle and wrist braces. Plus, when it comes to her doctor that she says she regularly sees: "I asked him about braces and stuff he said right now you don't need it." So how did Berta get these medical supplies? She says she gets constant phone calls about her qualifying for braces since she has Medicare. When she gets the unwanted calls, she says she tells them she doesn't want the braces. Still, the three different shipments arrived at her home in just seven days, and each shipment was prescribed by different nurse practitioners or doctor. Berta says she doesn't recognize any of the names. "They don't know me, never seen me, I never met them, so who are they?" she said. We went looking for these prescribers from the addresses on the Medicare claims and found nurse practitioner Stephanie Holcombe, working out of her Washington, DC home. According to the Medicare notice sent to Berta, Holcomb was the first to prescribe a heel stabilizer and ankle brace. I asked her if she knew how her name got on one of Berta's claims. Holcombe said: "Yes, I work for a telemedicine company. So I have patient prescriptions for those." Holcombe says she doesn't physically see the patients. "Telemedicine is when you talk to them on the phone," she said. Holcombe couldn't talk about specific patients but says the entire assessment is done over the phone through a series of questions involving the patient's medical history and needs, but Holcomb says she doesn't make the cold calls to people like Berta. "To be honest, every company works differently, and I work for several of them," she said. "These are internal employees that make the calls that do the calling." Holcombe says once those internal employees pass the patient's information and medical needs along to her, she writes prescriptions based on those assessments, and she can also reach out directly to the patient like Berta. "I call her directly just as a responsible provider, to say, 'so tell me what is happening with your ankle, will a brace help,'" she said. When I showed her the other two orders that were not prescribed by her and were fulfilled by different companies, she said: "That's not right, it's not normal. I don't know how that happened. I just know when I received a prescription, I do my due diligence as a provider who is responsible for prescriptions." I tried to get answers from the other two prescribers. The second was a nurse practitioner in Virginia who prescribed a knee brace and suspension sleeve for Berta. She also couldn't talk about specific patients, but said she was concerned with how many braces Berta got in a short time and the system they use must not be communicating correctly, and she would report it. The third prescriber was a doctor in Washington DC who ordered two knee, two wrist and two ankle braces for Berta. We couldn't find him listed as one of the doctors in the building and when I called the number listed for him online, I left messages but no callback. And Berta isn't the only senior who says they got medical supplies they don't want. Raleigh resident Emmett McGhee was sent two knee and two back braces. "I didn't order nothing," he said. "In the last 12 months I betcha I had ten, twelve, fourteen calls about back brace and a knee brace." 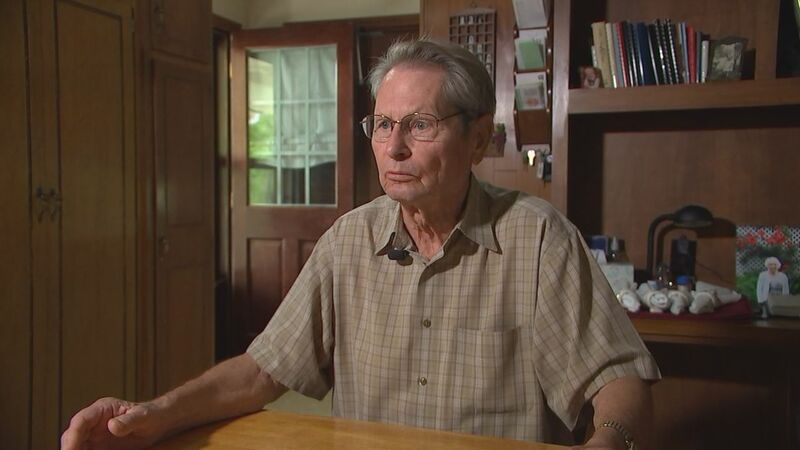 The 87-year-old claims he gets endless calls about medical braces. I asked him if he wanted the supplies and he said: "Heck no, I want to buy local anything like if it goes wrong, I can talk to somebody about it." Emmett's niece Sandy Wilson got involved right away. "I asked who ordered the product, and they said his doctor," she said. "So I asked what's his doctor's name that ordered the products, and they gave us the name of somebody I've never heard of, don't have a clue where they are, nothing about the person and I was like that's not his doctor. " According to the paperwork, Lynda Heintz a nurse practitioner in Belmont, NC prescribed the braces. "No, I ain't never seen no doctor about this," Emmett said. According to the paperwork, Heintz justified the prescription in her examine notes. It states McGhee complained of back and knee pain and wanted to use an orthotic brace. It goes on to say McGhee said it was 10/10 for knee and back pain. When it comes to Heintz' s examine notes it states Emmett is a female, 65 inches and weighs 120 pounds. "As the result of my examination of Ms. McGhee relative to her back pain complaint, I'm ordering the following back brace," the prescription said. Remember Emmett is a male, not a female as Heintz's examine notes state. "I don't know, looks to me like it's just an intentional rip-off is what it looks like," Emmett said. Emmett's niece Sandy filed a complaint with the NC Attorney General and the company that sent the braces defended their order, claiming Emmett told their enrollment specialist his desire to obtain back and knee braces from the company plus Heintz's prescription and examine notes, who they claim is Emmett's treating physician. When I tried to talk to Heintz for clarification, she would only provide this statement that said "I work with a company that provides telemedicine evaluation and services to patients only upon that patient's request. Due to HIPPA regulations, I am unable to comment on the care or treatment of any individual patient." As for the braces, Emmett's niece Sandy sent the braces back, but Medicare still paid. "They billed Medicare $3,150, and Medicare has paid $2,300 of it. So it's obviously Medicare fraud," she said. "Our tax money is paying that." After Sandy filed a complaint with the state, the company who sent the braces to Emmett did refund Medicare, but Sandy says her fight is not over. "That was the biggest reason for me calling you, because I know if it's happening to them, it's happening to hundreds or thousands of other people," she said. Berta has the same questions for Medicare as they paid more than $2,700 for the multiple braces sent to her. "What's wrong with Medicare, they should have picked up that something is going on?" Berta said. Her family said they did report the supplies as fraud to Medicare, but the calls haven't stopped. "Believe it or not they called me a couple of weeks ago about braces," she said. "I said I don't need no braces and I hung up my phone. So I look to see braces come again." If you can believe it, Berta says two more boxes of braces were sent to her home. She says she sent both boxes right back. As for Medicare, a representative said: "CMS does not publicly provide information on ongoing investigations including information about specific suppliers. CMS is aware of the ongoing scheme, and we are working with our contractors, law enforcement, and other stakeholders to address the matter where appropriate." Medicare did provide tips for beneficiaries and caregivers to handle marketing calls and unrequested braces. They are supplies seniors say they don't want or need, but taxpayers are footing the bill. To file a complaint about durable medical equipment click here. The representative also said Medicare encourages all beneficiaries to protect themselves and Medicare against fraud by reviewing their Medicare claims for errors, looking for other types of fraud, and reporting anything suspicious to Medicare. To report fraud click here. The bottom line, there are so many companies involved in this, out of everyone we talked to, no one would admit the cold calls to seniors about braces start with them. Since I started investigating this, I actually have gotten a dozen of these calls about possibly qualifying for medical braces. The calls I'm getting claim to be from the National Chronic Pain Association. I talked to one of these representatives and he told me they're looking for people who have Medicare as they could qualify for braces if they have chronic pain. The best advice, if you get one of these calls and you don't want the braces or need them, hang up do not provide any information to them at all, instead talk to your own doctor about your needs.